Auron is a playable character in Final Fantasy X. 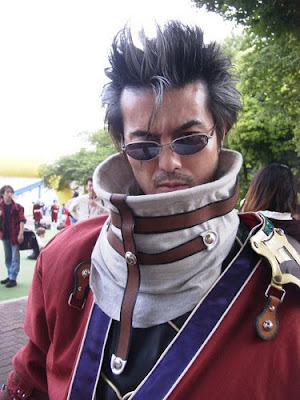 He was a warrior monk of Yevon who became High Summoner Braska’s Guardian, together with Jecht. After helping Braska defeat Sin, he promised Jecht to take care of Tidus, his son, and watch over him.